It is now possible to start issuing vehicle and component type approval certificates, i.e. UNECE type- approval, with regard to fire suppression systems. SP is a Technical Service for UNECE Regulation No. 107. Through the UNECE 1958 agreement there is a mutual recognition of vehicle type approvals of the Contracting Parties. Contracting Parties are able to choose which regulations to adopt. In Europe the new updated UNECE Regulation No. 107 will be legislated. The fire suppression system manufacturer’s UNECE approval will be used as a part of the bus manufacturer’s vehicle approval for UNECE Regulation No. 107 concerning fire suppression systems. 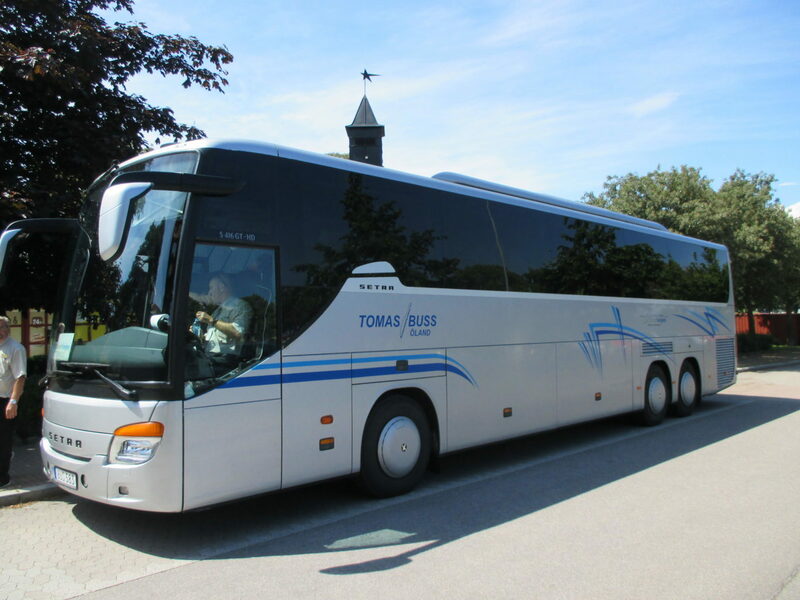 Within the European Union (EU), bus manufacturers normally have a European Community Whole Vehicle Type Approval (ECWVTA) in order to sell their bus/coach. The ECWVTA is a voluntary system and a way for ensuring that vehicles meet relevant environmental, safety and security standards. Once all of the system and component approvals are in place, the vehicle will be considered as a whole by a designated type approval body. This certification will be accepted throughout the EU. Once a vehicle is approved, the manufacturer should have processes in place to produce a Certificate of Conformity (CoC) for each vehicle manufactured. It is not yet defined how the fire suppression system manufacturer’s UNECE approval will fit in to this process. This will be regulated through Regulation (EC) No 661/2009/EU. The proposed date of entry is October 8, 2016 for the document covering the following vehicles: single-deck, double-deck, rigid or articulated vehicles of category M2 or M3 and specifically vehicles having a capacity exceeding 22 passengers in addition to the driver – “Class I and Class II”. Class I vehicles are constructed with areas for standing passengers, to allow frequent passenger movement and Class II vehicles are constructed principally for the carriage of seated passengers, and designed to allow the carriage of standing passengers in the gangway and/or in an area which does not exceed the space provided for two double seats, more commonly referred as “city buses”. Figure 1: It is now possible to start issuing vehicle and component type approval certificates, i.e. UNECE type- approval, with regard to fire suppression systems. The tentative transitional provisions for UNECE Regulation No. 107 concerning fire suppression systems are specified below. Please observe that these dates only apply to UNECE type- approvals in accordance with UNECE Regulation No. 107. UNECE does not have a system for Whole Vehicle Type Approval. In Europe this is regulated through the EU. – Annex 13 – Part 2 “Fire suppression system installed in a specific engine compartment”. The system is tested in a specific engine compartment. 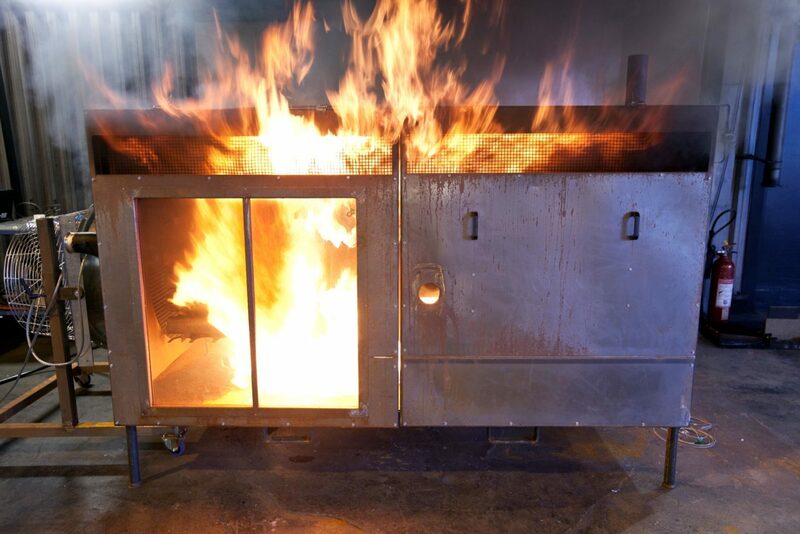 Figure 2: Fire suppression testing according to the described method. A fan is seen to the left. 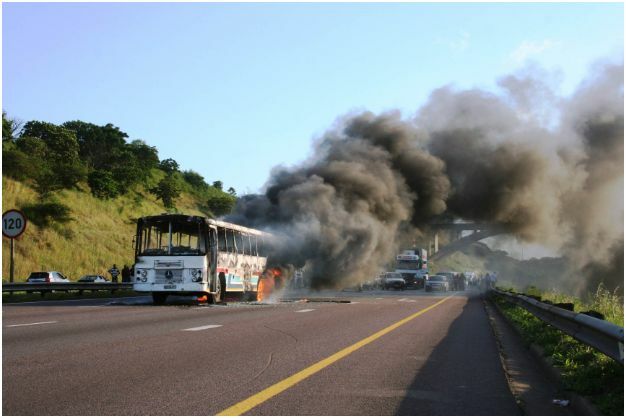 There will not be a requirement of a European vehicle component type approval certificate – E-mark approval – for the actual fire suppression system as the bus/coach manufacturer can choose to make a vehicle approval based on testing in accordance with Annex 13 – Part 2.